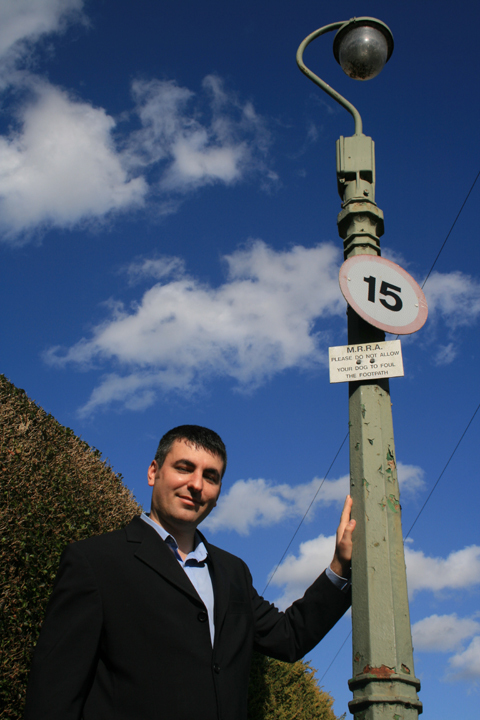 MOLESEY'S antique 20th Century streetlights are due to be ripped up and junked - unless urgent action is taken. Many of our town's distinctive posts have been lost already, and replaced with modern designs by Surrey County Council's contractor Skanska, as part of a 25-year upgrade and maintenance contract. The new designs offer improved white lights and mobile phone technology which allows them to be dimmed from a control centre in Guildford to save the county 60,000 tonnes of carbon and £12million. 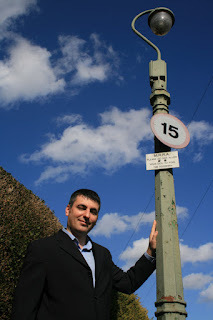 But when conservation-minded residents and Molesey Conservatives called for the new lamp heads to be integrated with our existing posts, we were met with stiff resistance from county officers. They said it was not technically feasible to keep the antique posts as they no longer comply with health and safety laws. Steve Bax teamed up with a concerned resident and did some research on the internet. They discovered a near identical situation in the London Borough of Ealing from three years ago. On that occasion residents were successful in having their heritage posts integrated with modern technology, with the help of the Cast Iron Company (CIC) of Guildford. Gary Young, of CIC, told The Molesey News that modern columns have a door in the base to allow the electrics to be worked on safely. He added: "We came up with the idea of modifying the columns in Ealing by making a new cast iron base with a suitable door and backboard, and after modifying the old column this new base was then joined to the old one. "Yes its more expensive but it works technically and these old modified cast iron columns will last a lot longer than their steel equivalents-probably 100 years plus! The problem with all these things is galvanising the political will to make it happen." Mr Young is quoting £950 per post to upgrade them, which is substantially cheaper than the £3,000 to £4,000 which Surrey County Council claimed would be required to transport each column to the North of England for upgrading. Our Molesey Residents Association elected councillors have been content to go along with the SCC plan and allow the posts to be lost. Their newsletter even enthused about being "able to see the stars again”. Steve Bax said: "I say to our MRA councillors if you are serious about conservation in Molesey then it's time to prove it. CIC is prepared to meet with councillors and officers to discuss and offer its expertise. Let’s work together to get this upgrade option on the table before our grand old posts are gone for good."